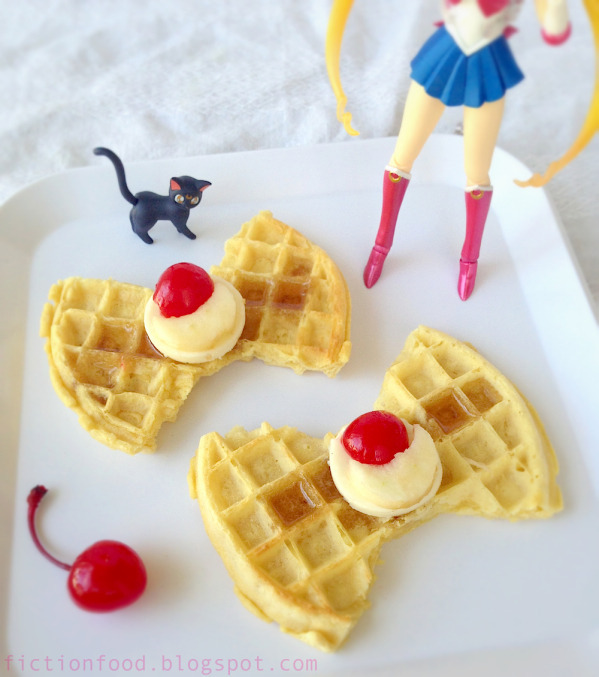 Fiction-Food Café: "Sailor Moon" Waffles Bows! 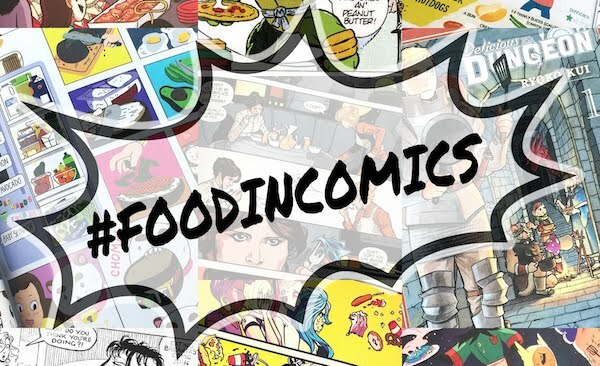 Happy International Waffle Day (3/25)! 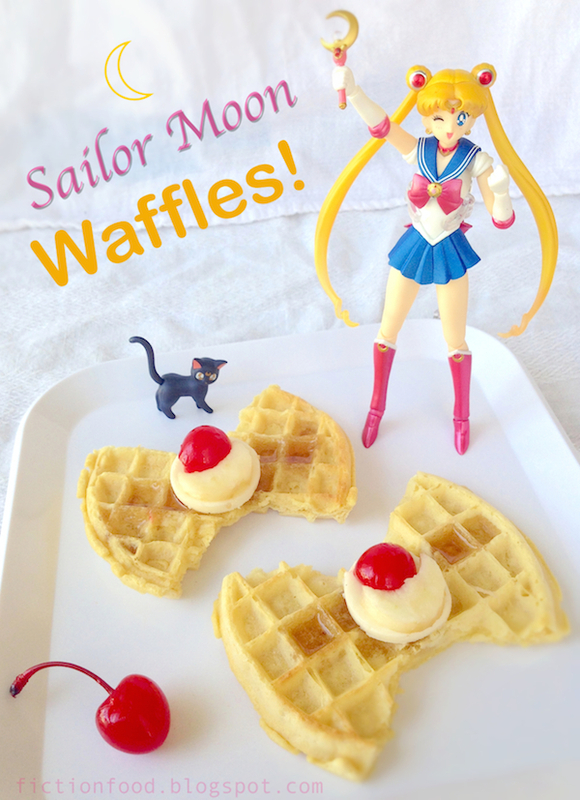 To celebrate I came up with this easy-peasy "Sailor Moon" waffle bow how-to! The butter-apple-cherry "brooch" is based on Sailor Moon's first transformation brooch in the 90s anime. 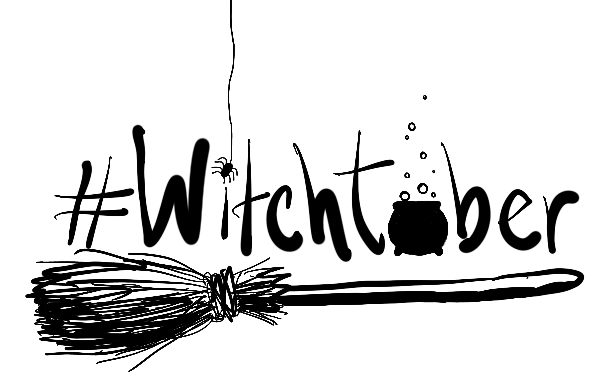 Note: For the size of things–the cutters and cut-out food–just eyeball it. I used the cap from a spice jar to cut the right-sized circles for the size of bow I cut from the waffles. And then I had a circle cookie cutter that was just a little bit smaller than the cap that made the perfect-sized crescent moon apple cut-outs to put on top of the butter circles. So use what you have and what jives together size-wise. 1. Cut large bow shapes out of the waffles. Cut square slices from the butter stick & then cut out circles using the larger cap or cookie cutter. Place the butter circles on the center of the waffle bows. Lay the apple on its side & slice. Using the smaller circle cutter cut circles from the slices & then cut those circles again to make little crescent moons. Place the moons near the bottom edges of the butter circles. Remove the stems from several cherries & then cut the cherries in half. Pat the cut cherries with a paper towel to get rid of any excess juice. Place the cherry halves on top of the butter circles, just above the crescent moons. 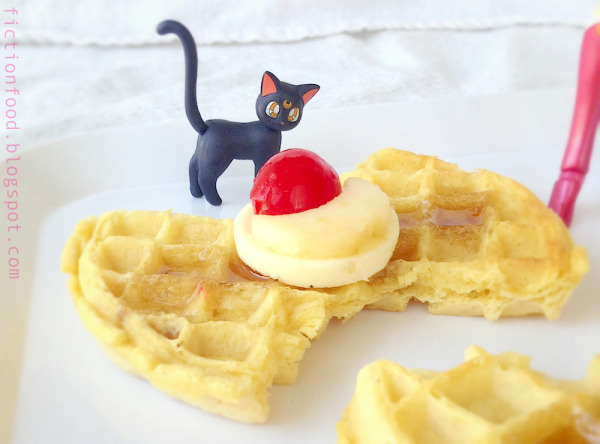 Squeeze a little bit of syrup on the waffles on either side of the butter brooches. 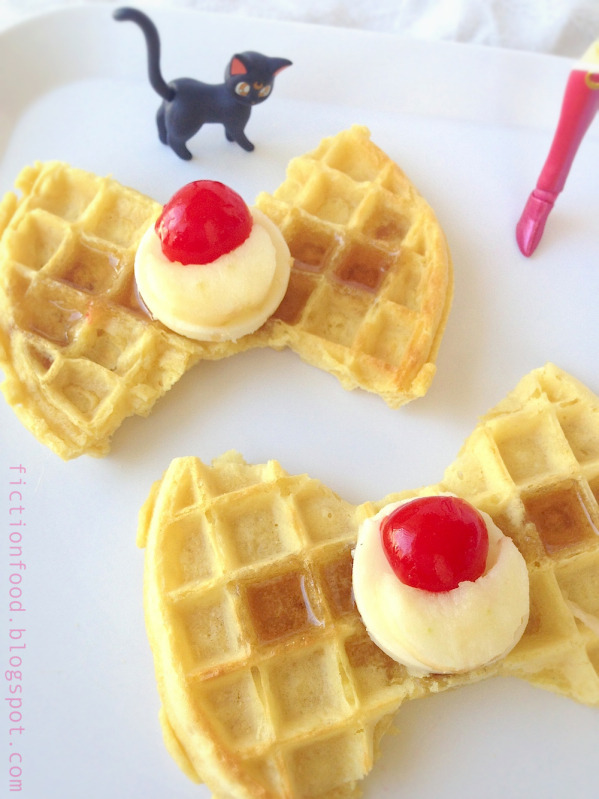 These waffle bows are great to eat folded like a taco! The Sailor Moon & Luna figures are from S. H. Figuarts, Bandai Tamashii.